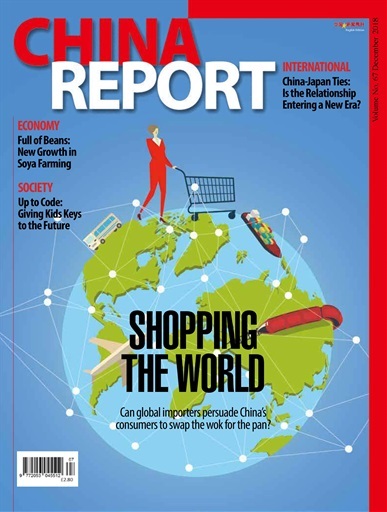 Shanghai has staged the world's largest Import Expo, through which thousands of businesses are looking to break into China’s market, but are consumers ready for all these imports? (P.18-29). The coding frenzy is hitting younger generations. Parents want to invest in coding education but schools cannot find enough qualified teachers to respond to the demand (P.36-39). Conventional car sales are slowing down; automated and connected vehicles are beginning to take off in China. The technology industry is partnering up with automakers and slowly changing the horizon for Chinese automobile manufacturing (P.44-47). Macao, the Portuguese ex-colony known as a Mecca for gambling in the Far East, has much more to offer beyond its casinos (P.60-61).